Peter Bom: Exhaust configuration is vital for both power and engine character. Yamaha is using a four-into-two-into-one exhaust combination. 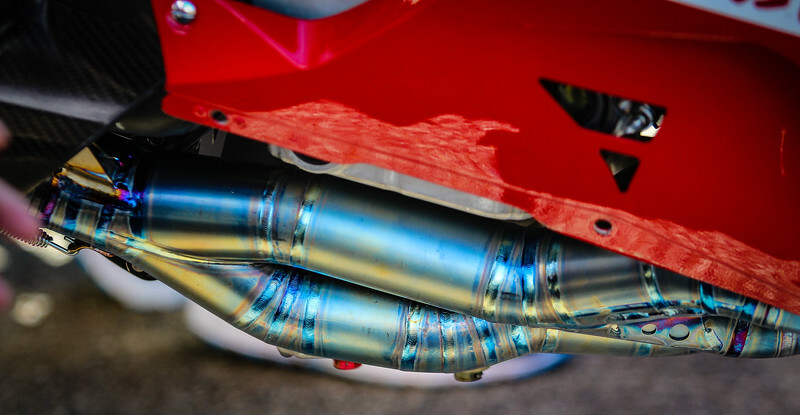 Don’t be surprised if next year we see a different exhaust on the M1.